I was ecstatic upon receiving Magical Housekeeping with the prospect of writing a review. I had heard of this book prior to receiving it and was eager to finally read it. I have always believed that the way one treats their home can have a direct effect on one’s own happiness and what one consciously or subconsciously invites into their lives. A few months ago, my highly skeptical boyfriend came across an article exploring the direction in which one’s bed faces and the effects it can have on one’s life. We were going through a rough time and our relationship was very strained. Our bed was facing North and wouldn’t you know this was considered the worst position for one to face while sleeping? Navajo tradition states that only the deceased should face North, as it was considered evil. Hindu’s maintain a similar custom, arising from a story between the goddess Kali and fellow deity Ganesha. Lying with the head facing North is said to bring about anger and miscommunications. Wouldn’t you know that as soon as we re-arranged our bedroom, these problems disappeared almost instantly from our relationship? The skeptical boyfriend was suddenly not so skeptical. The Universe makes no mistakes, and this book came into my possession at the perfect time. We were moving into a new house with much more space, and therefore many more arrangement options. Our apartment at the time, which was a mere 750 square feet, had very limited options in terms of what furniture went where. My favorite section of Magical Housekeeping was a chapter titled “Harmonious Positions”. I was instantly inspired and hastily made a visit to our yet-to-be-inhabited new house. I mapped out the entire floor plan and decided where I wanted to put everything in a way that corresponded to these energy points. In case you’re curious, our bed now faces East, and our relationship has never been better. I have always been one to devour a book when I find one I like. For example, I read the first three Harry Potter books each in a single day. Magical Housekeeping was no different. First I must say that unless I am reading fiction, I almost never read books in order. I like to flip open to a random page and go from there. This was clearly a wise decision because I flew through the first few chapters I read. My immense enthusiasm began to dwindle as I worked toward the front of the book. Not because it lost its spark, it was quite the opposite actually. Each chapter increased in depth and was more interesting than the last. What dissuaded me from further implementing these practices into my life and home was intimidation, via an important chapter titled “Clearing Clutter”. The mere thought of de-cluttering sends my heartbeat into a frenzy. I organize in piles and ever since I was a child, corners have been my clothes hampers. No matter how intricate, feature-ridden or pretty the hampers my parents purchased for me were, they just were not my thing. Needless to say, I was hesitant to even read this chapter. I was open to de-cluttering at least a little bit, although I wanted to be able to commit to keeping it that way, another of my not-so-strong points. I decided to go ahead and browse through it anyway. Maybe they would take another approach to de-cluttering, as opposed to the countless magazine articles and books I had read over the years. They did, gladly, however it was not something that worked for me personally. 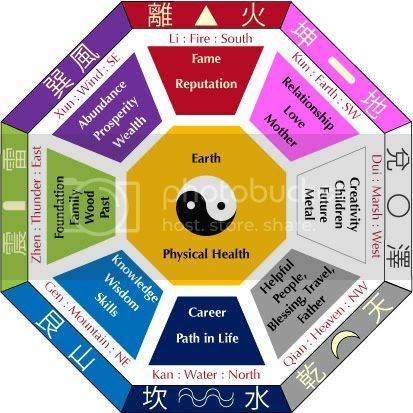 In the principles of Feng Shui, it is said that in order for good energy or Chi to flow, it must have open space and smooth surfaces. Lots of corners, angles, and clutter are big no-no’s, as energy can get blocked up in refined spaces. This is my main motivation for trying to keep my piles to a minimum (keyword: try). Aside from this vital principle of attaining a peaceful household, another point that did not work for me was the suggestion of ridding one’s home of any items which did not bring about good memories or which did not represent the real you. I see the importance in this practice and I believe that it would cause a noticeable difference in peacefulness for the individual; however, as with most practices in Magical Housekeeping this is for those who feel the nudge to do so. I am a very sentimental person, and as a result, I have collected a fair amount of trinkets and photos over my lifetime. Not all of these have happy memories attached to them: the Sleeping Beauty music box I gave to my mother for Christmas as a child, which she then re-gifted to me the next year; photos taken with friends and lovers who are no longer in my life; and of course as a writer, I have stacks upon stacks of journals. These are one of the few things I have well organized, as they are my most prized possessions. Many of these journals were filled in highly-inspired times of insomnia and heartache, when I feel the only appropriate and helpful thing to do is write. These are things very special to me that I hope to keep for the rest of my lifetime and someday pass onto my partner or children. It became apparent to me that while very helpful to many people, this was not something I was able to implement into my life. What I learned from this book is that you must do what works for you and your family. Magical Housekeeping, while not going too in depth on any particular topic, covers a wide variety of ways to invite peace and happiness into one’s home. Every sense is taken into consideration, with the exception of taste. Tranquil sounds, pleasing aromas, comforting textures, and appropriate and powerful colors are all highly recommended and explored in their own chapters. I believe we all want to live truly happy and peaceful lives, and the way you decorate, arrange, and treat your home can have a tremendous effect on one’s life and attitude, either for the positive or negative. Home is what you make it. It takes time, thought, love, and energy of all varieties to attain the home you want: The home to grow memories, to grow relationships, and to grow yourself. Contributor: Carina Trinidad. She can be reached at carina_trinidad@yahoo.com.